Swimming, bridge jumping, rope swinging, sunbathing and drinking – what more could college kids ask for? 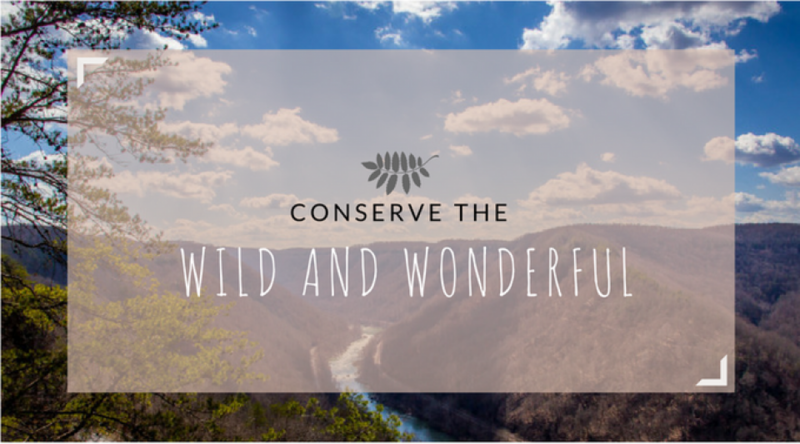 The perfect outdoor venue for de-stressing, relaxing and having fun with friends, Blue Hole is a sweet little getaway spot conveniently located for West Virginia University students. But what about the locals? Blue Hole hasn’t always been “party central”. When the partygoers aren’t there, locals have a chance to enjoy the tranquility of the Cheat River, that is, if loud and obnoxious groups of people that leave heaps of trash and leftover beer cans that litter the waterside doesn’t ruin it for them. Blue Hole certainly has changed over the years. When searching the internet, stories about the area becoming more of a social-gathering scene began to surface six years ago. Once again, when the partygoers aren’t there, Blue Hole is a fantastic place to unwind and simmer down while partaking in usual outdoor activities like biking, hiking, camping or even just walking your dog. “West Virginia has some of the best riding worldwide – steep, twisty climbs, unmaintained dirt roads with little traffic & hairy descents, forest waterfalls & breathtaking vistas,” Stephanie Swan, who documented her Blue Hole biking adventure with the photos above, posted to Facebook in 2016. If you are a partygoer with plans to visit Blue Hole sometime soon, please keep in mind that leaving litter and other pollutants in the area can not only ruin the fun for everyone, but can also severely harm the environment. Also keep in mind that Blue Hole isn’t yours; it doesn’t belong to you — you are just another visitor. Be kind to the Wild and Wonderful. I am an out of state student, but of course I know that WV is filled with beautiful scenic spots that many people like to go to. I personally have never heard of the Blue Hole, but that is because I am a transfer student. After reading this post and looking at the pictures, it sure is a beautiful place! It reminds me exactly of Valley Green (in my neighborhood) which is pretty much the same. I can’t believe that people trash such a beautiful place and do not have the respect to pick up after themselves. That is so bad for the environment, and for the people and animals that go there. What if a dog steps on a broken beer bottle or something? Ugh, it just makes me so upset. I really hope that people can start to respect the community more, along with the Blue Hole itself and West Virginia’s nature overall. I think this post was very informative especially to those who are unaware- like me.